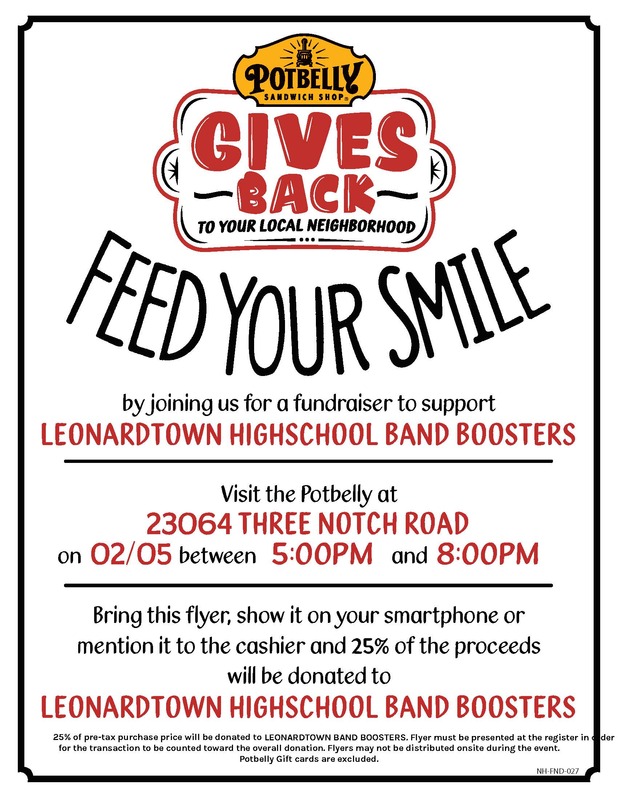 Potbelly in California, MD will be hosting a fundraiser from 5:00 PM to 8:00 PM on Tuesday February 5, 2019. Please bring this flyer, show it on your smartphone or mention it to the cashier when paying bill. 25% of all sales associated with LHS Band will be donated! Feel free to Print/email this Flyer to advertise this event.